2018 ZNEN Vintage 50cc Scooter ZN50T-G with Windshield, Remote Start, Anti-theft Alarm, USB Port, Backrest, White Wall Tires EPA, DOT, CARB Approved, 99.9% assembled. Free shipping to your door, free helmet and 1 year bumper to bumper warranty. 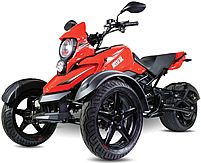 Comes to your door near fully assembled, just put on the mirrors, charge battery, fuel it up and go! 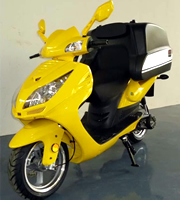 This gas scooter is EPA, DOT, CARB approved and is registerable as a street legal vehicle in all 50 states including California. $99.00 a year; $150.00 for 2 years; $199.00 for 3 years (Best Deal). The manufacturer's warranty starts the day when your scooter is delivered. The extended warranty effective as soon as the manufacturer's warranty expires. If you were to add a 3 year extended warranty at only $199, your scooter's motor and other warranty parts will be covered for a total of 4 years. A 150cc ZNEN motor costs $900 plus shipping, if anything happens during the first 4 years, we will ship you brand new motors free of charge, same way with other warranty parts. Windshield, Mirrors, battery set up and minor adjustments may be required. Be sure to tighten all screws, check for appropriate levels of engine fluid and fully charge battery prior to operation. Warranty is valid straight from the box. Japanese Mikuni Carburetor, Japanese Engine Belt, Oil Seal & Spark Plug, Stainless steel Bolts & Nuts, Halogen Bulbs. Duel Stage Paint Treatment, Beautiful 2-tone and solid colors. High quality ABS Front Disc Brakes provide the best possible stopping power for any scooter. Retractable Kick Stand is also a safety engine kill switch which is connected to the circuit so when your scooter is parked on the kick (side) stand, you won’t accidentally start the motor unless you are ready to roll. Save a ton of money at the gas pump when you can get up to 80 miles per gallon. Far better than any car on the market, including hybrids. Electric Keyed ignition and Keyless remote for easy use and quick starting. Back up kick start in case other two methods do not work. Extra safety device comes equipped with your new scooter free of charge! And you thought it ended with the fancy exhaust pipe? Nope. This Vintage 150 gas scooter has super stylish 16-spoke rims and white wall tires to complete your fashion needs. Automatic transmission that is very easy to use for all adult riders. Simple twist 'n go acceleration method leaves out the hassle of shifting gears. Upgraded Stylish Instrument Panel: The instrument panel featured on this scooter has a black background which makes it look far more impressive than most other boring ones. There is an extra large storage compartment located underneath the seat. The newly upgraded rear storage trunk to put any and all items that you need to take with you. This trunk is detachable, so if you don't feel like riding with it, you don't have to. Assembly: This Item comes near fully assembled (windshield, mirrors, rear trunk, battery set up and minor adjustments are required). Be sure to tighten all screws and check for appropriate levels of engine fluid prior to operation. The all new 2018 ZNEN Vintage 50cc Moped Scooter offers that classic Italian look, but with contemporary technology and design. For those of you who dig the retro style, but are looking for modern technology, this scooter is just right for you. 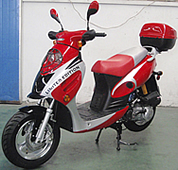 The ZNEN Vintage gas scooter is shaped to look like the original Italian designs such as the Vespa or Lambretta. It is small and compact, elegant, and has the curves to make even the most humble of men blush. There is nothing better than having the feeling of riding a super stylish motor scooter and knowing you have the finest painting art work and durable top line parts that other identical scooters are lacking. A lot of people like chrome on their rides. Well so does ZNEN. 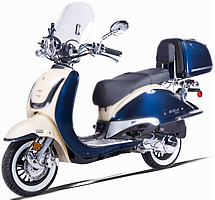 These mopeds feature a chrome engine and muffler covers, rear view mirrors, headlight, front and rear decorative pieces, an aluminum alloy floorboard, and even polished rims! I assure you, you have never seen anything so reflective in your lifetime. 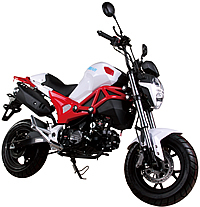 Other key features to add to not just safety, but also convenient and comfort, are the detachable big rear trunk, upgraded muffler and the suspension system. One design element we can't forget are the graphics. Sleek and stylish, just like the scooter. The "ZNEN" name is on the side looking almost chrome itself, while there's a set of beautiful decors fenders above the floorboard. Now your new inexpensive and high quality scooter has gone from a classic ride, to a classic work of art. Surely there is nothing else that could possibly be advertised here. 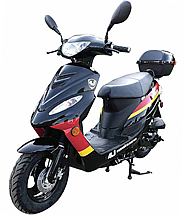 When you purchase this ZNEN scooter you get a free windshield, remote starter, anti-theft security alarm, USB port, large rear luggage trunk and a worry-free 12 month warranty. Most States do not require a motorcycle license, registration or insurance for Mopeds /scooters under 50cc. A regular driver's license is sufficient in most states! Please check with your local DMV for detail. Parts availability is 100%, we honor the warranty with no excuse! CARB Approved 2019 Saber 200cc Motor Trike Automatic w/ Reverse, 14" Big Tires, F/R Disc Brakes, Digital Dash, Extra LED Lights, 99.9% Assembled!